PUTRAJAYA, Jan 7 — The surprise amendment to the results of the recent DAP’s Central Executive Committee (CEC) election was today dismissed by former prime minister Tun Dr Mahathir Mohamad as a political ploy to fish for Malay votes in the coming 13th general election. 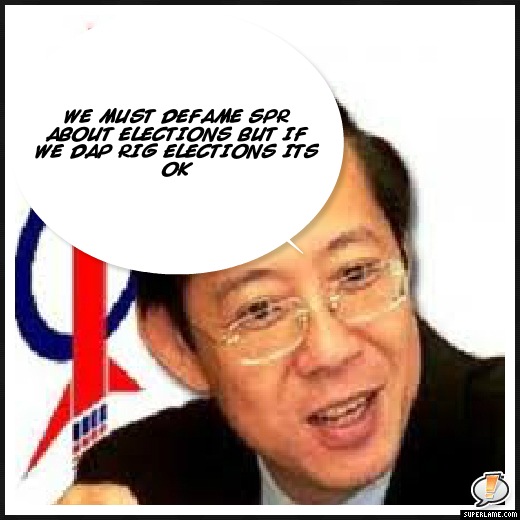 He said DAP was forced to rectify the official results of the CEC election announced last December 15 as all the eight Malay candidates lost in the contest. Dr Mahathir claimed that DAP’s strategy of changing the results three weeks after the CEC election was just to hoodwink the Malays. “It was not an error. The election was real but when the party found that no Malay was elected to the CEC, they blamed it on technical error (in the tabulation of votes). “Don’t tell me they are that stupid to be unable to count the votes. If they can’t even do this, then they are incapable of governing the country. “It (amending the results) is just a political ploy. It’s all so ridiculous. Actually, all the Malay candidates were not elected (to the CEC) at all,” added Dr Mahathir when asked to comment on the matter. Earlier, he attended a dialogue with veteran members of the Malaysian Association of Youth Clubs at the Perdana Leadership Foundation building, here. 16th National Congress last month.